Tax time is a stressful time of year for many individuals and businesses. Given the complexity of the ever-changing laws and the difficulty of interpreting them, you need a tax advisor who not only can ensure you’ve complied with the law, but who can help you claim valuable deductions and credits to save you money. I go out of my way to make tax season simpler. I pledge not only to prepare your tax returns in the best-informed, most ethical manner possible, but also to work with you year-round as needed to plan a strategy that will minimize your total tax burden. I am qualified to prepare all federal, state, and local tax returns for individuals, corporations, partnerships, and fiduciaries. I specialize in preparing your taxes quickly and painlessly, and ensure that you receive all the deductions you are entitled to. I am always available to help you with your tax planning needs, to help you lower your taxes and avoid surprises during the tax season. In order to speed your refund, I can also file your return electronically to the IRS and state tax boards. Behind on taxes? If you need to file your tax returns from previous years or need assistance with IRS or State tax assessments, I am available to prepare your taxes and represent you before the IRS or State tax authorities. Careful tax planning is the most essential step in preparing my clients’ income taxes. By minimizing taxes I strive to improve my clients' profitability. Whether you are a large firm or small, established or start-up, I will find the best possible strategies for reducing your tax liability within the limits of the law. I provide expert preparation of federal and state estate, gift, and trust tax returns.I am also available to advise you in your estate planning needs, including business succession plans and gifting strategies. I can provide complete representation services before the IRS as well as state and local taxing authorities. 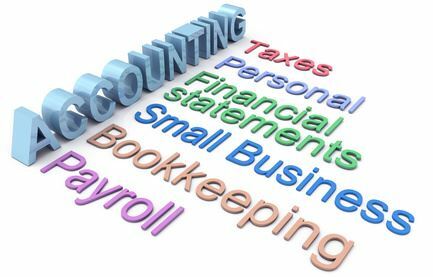 I provide full-charge bookkeeping services, including Quick Books set up, monthly bank statement reconciliations and reports, fixed asset management and receivables and payables tracking and analysis.